Roxanne Guinoo talks about her upcoming teleserye with Sid Lucero and Rayver Cruz. Roxanne Guinoo will soon start taping for her newest soap, Mahal Na Mahal Kita, where she stars opposite Sid Lucero and Rayver Cruz. 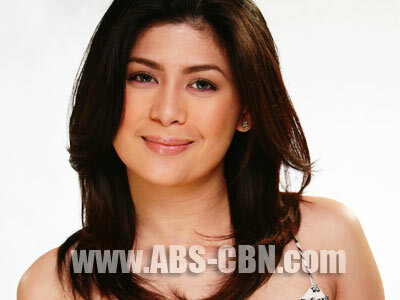 The teleserye will be one of ABS-CBN’s major shows for the first quarter of 2010. When asked about her reaction when this project was first offered to her, Roxanne shared that it was truly worth the wait after her brief hiatus on primetime TV. “Matagal na itong napag-usapan e—kung anong magiging flow ng story, kung purely drama, tapos kung anong mga eksena ang kaya naming gawin—maganda talaga yung objective nung proyekto. Parang ibabalik ulit natin yung lakas ng drama sa viewers,” she told ABS-CBN.com after her special production number at the Star Magic World Tour concert in Araneta Coliseum last November 13. With director Chito Roño at the helm of her upcoming teleserye, Roxanne is confident that she and her former Ligaw Na Bulaklak leading man Sid will be in good hands. “Happy kami na si Direk Chito ang director namin dahil siyempre kilala siya sa paggawa ng de kalidad na mga pelikula (Caregiver, Dekada ‘70, Bata Bata Paano Ka Ginawa). Tapos makakapareha ko ulit si Sid. Okay naman kasi at least wala na kaming masyadong pressure sa isa’t isa. Yun nga lang this time siyempre iba na ang mga characters namin so dun na lang kami magaadjust,” she explained. The young dramatic actress is also very supportive of Rayver who’s now being groomed as a leading man. “Kaya niya pero natetense siya kasi big break din ito for him. Happy kami for Rayver kasi mas mature yung gagampanan niyang role dito. Sabi namin sa kanya, huwag kang mag-alala ganyan din kami noong una. But I am sure na he will give justice to the role na meron siya sa gagawin naming soap,” she stressed. Roxanne will also star in a month-long Your Song installment with ex-boyfriend Jake Cuenca starting in November. “Abangan na lang nila malapit na yun ipalabas. May last two tapings pa kaming hindi tapos.” But contrary to what the people expect after the intrigues that they’ve gone through in the past, Roxanne clarified that there’s no longer any awkwardness between them ever since they worked together for an episode of Maalaala Mo Kaya early this year. “Wala namang ilangan. Work lang talaga. Pero siguro naman hindi naman nila paplanuhin ito kung wala kaming chemistry onscreen. Siguradong matutuwa naman yung supporters namin dito,” she simply stated. Roxanne also revealed that her non-showbiz boyfriend has expressed his all-out support for the new developments in her career. “Oo naman, mahal na mahal ko yung boyfriend ko and very understanding naman siya. Wala pa kaming pinag-uusapang kasal pero sana siya na,” she beamed.